Now in its 29th year, the Vancouver magazine’s Restaurant Awards event is the biggest of its kind in North America. Nineteen of the city’s top food critics form the judging panel and vote on the best dining experience in more than 40 categories. The event includes a reception and awards show. The annual extravaganza welcomes more than 800 restaurateurs, chefs, sommeliers, suppliers, and food and wine critics. All black. No jeans; no running shoes/sneakers. In your email please provide a brief introduction of yourself, and include a description of your current course of study, why you are interested in this position, and your contact information. It’s the Vancouver Lookout’s 40th anniversary and to celebrate, they’ve partnered with the Vancouver Heritage Foundation to present Perspectives: Talks & Discussions – a five-part speaker series that sheds lights on the forgotten history of Vancouver. Among the various topics to be covered is the fascinating story of Vancouver’s first forensic investigator, John F.C.B. Vance, who used cutting-edge scientific techniques to solve some of the most sensational crimes of the early 1900s. So effective were his methods that there were seven attempts made on his life and he and his family had to be given round-the-clock police protection. Other topics in the series include the history of some of Vancouver’s most iconic buildings and the golden age of Granville Street nightlife as well as stories from Indigenous and South Asian communities. The talks will take place atop Harbour Centre in the Vancouver Lookout – offering attendees stunning 360-degree views of the city as they hear stories drawn from the surrounding area. To learn more and book your tickets, visit the Vancouver Perspectives website. Last week, CBC’s North by Northwest Radio Host, Sheryl MacKay visited The Kettle Society, a mental health not for profit, to report on the new Kettle Choir, a historic collaboration between Vancouver Opera and The Kettle. The choir features the voices and stories of Kettle members who have personally experienced homelessness and/or mental illness. Sheryl sat down with a member from the Vancouver Opera, The Kettle, and Geof, a member of the choir and resident at Kettle on Burrard. Each of them shared their thoughts on the choir’s impact and what the program means to them. So far, they have noticed amazing transformations since they began singing together every Monday. Kettle members who were once shy and quiet, are now singing at the top of their lungs, and are more confident than ever before. The choir is currently working towards Requiem for a Lost Girl, a raw, heartfelt chamber production, which is set to be performed next year at the Vancouver Opera Festival. Requiem for a Lost Girl tells the story of a young girl who lost her life to streets, and explores themes of poverty, mental illness, and addiction, subjects that Kettle members can intimately relate too. 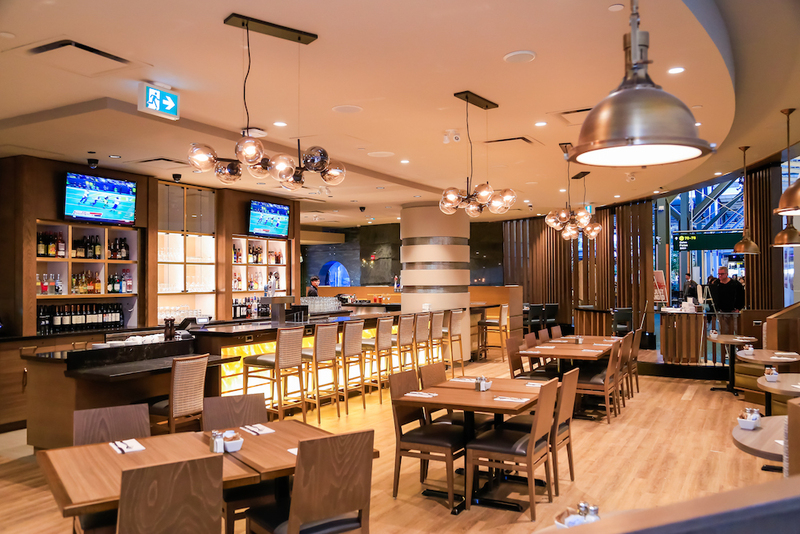 Vancouver International Airport (YVR) welcomed a new full-service restaurant, Lift Bar & Grill, in January. 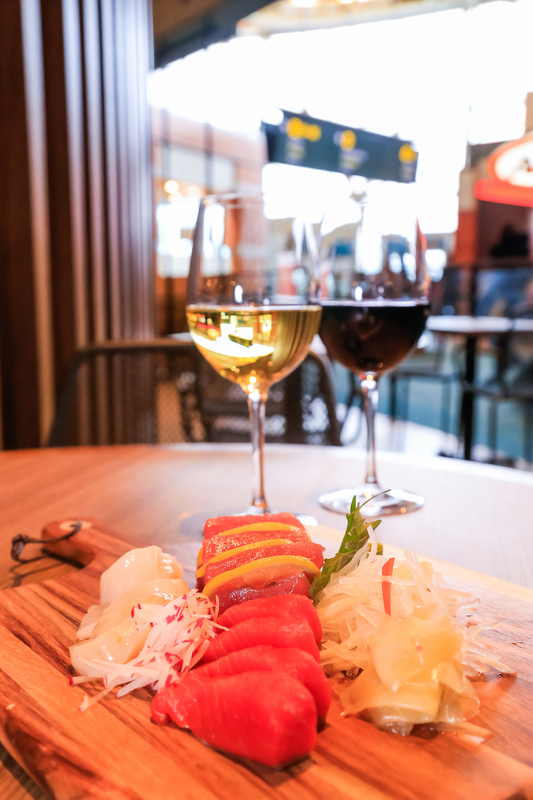 Inspired by the original location in downtown Vancouver, passengers are now able to enjoy Lift’s well-known selection of seasonal cuisine with a focus on local seafood offerings. 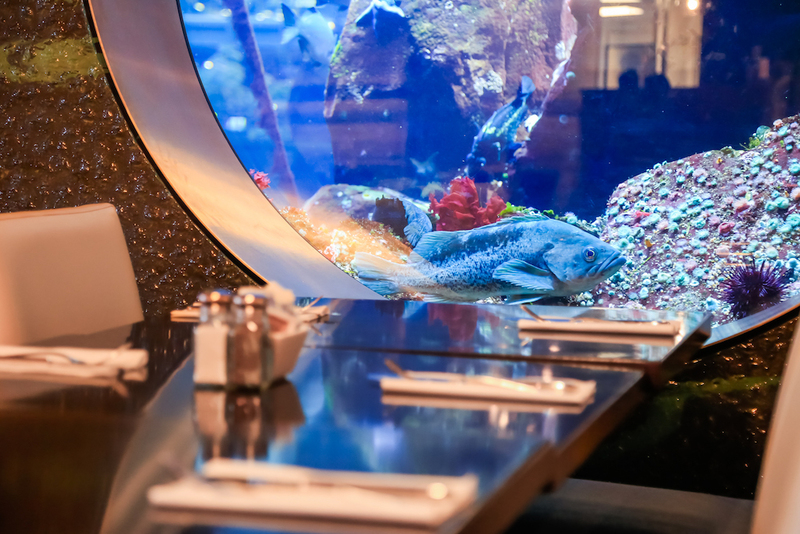 Centrally located in the international terminal, the restaurant is wrapped around the airport’s iconic aquarium (with more than 850 indigenous sea animals), and is designed to draw on a coastal waters theme. 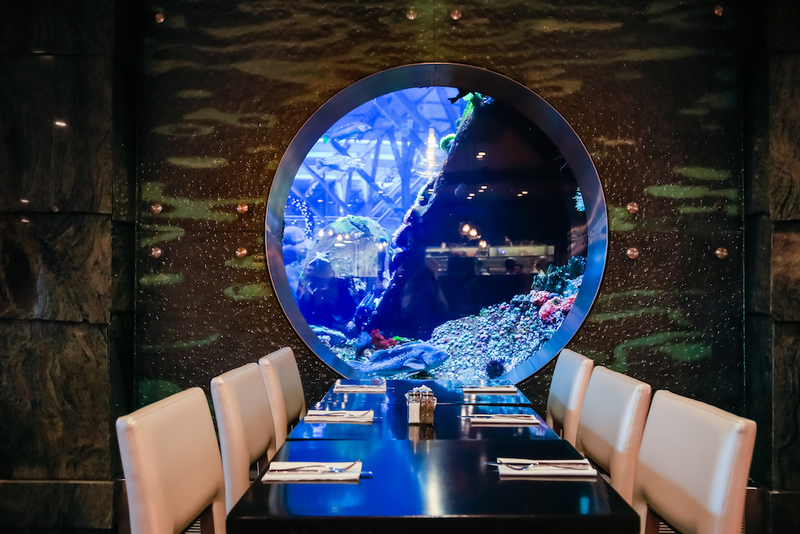 This is evident in both the interior detailing with tones of warm oak, steel blue and charcoal greys as well as the menu, featuring Oceanwise certified seafood. In partnership with YVR, Elettra invited food media, bloggers and influencers to the launch event, where they were treated to Lift Executive Chef Soojin Park’s incredible tasting menu. Before becoming a chef, Soojin studied Inorganic Chemistry, which now fuels her passion for molecular gastronomy and understanding of food composition. Soojin’s beautifully plated bite-sized portions were well received by attending media, served with New Zealand wine from the Marlborough Sounds region. 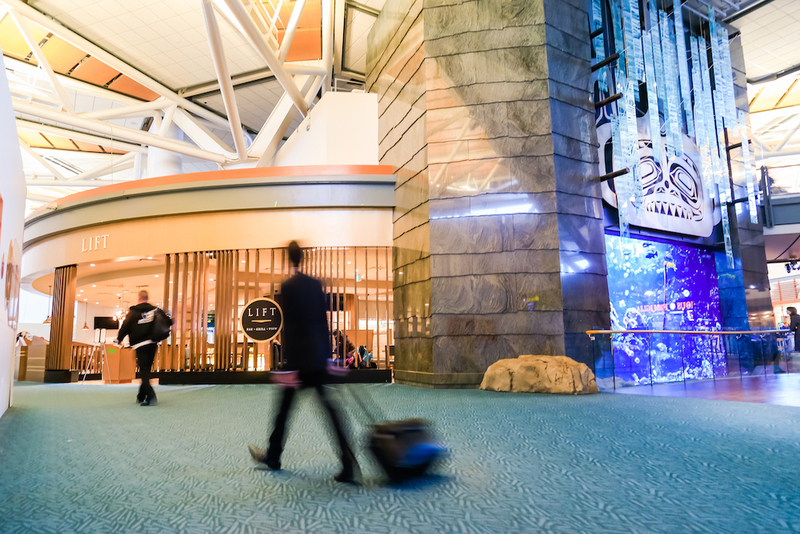 Lift’s location post-security means that travelers can take advantage of YVR Food on the Fly – any YVR restaurant provides fresh food and snacks packaged especially for your flight in a travel-friendly bag. Be sure to check out Lift next time you’re flying internationally through YVR. On April 13th, we helped Vancouver Magazine celebrate its 27th Annual Restaurant Awards. Hosts Gloria Macarenko and Stephan Quinn from CBC handed out nearly 50 awards ranging from Restaurant of the Year to Best Food Truck. A panel of 18 judges spent the past year preparing for this event, tasting more than 2,000 dishes all over Vancouver and BC, narrowing their list down to 150 restaurants in 48 categories. Elettra Communications (and its principals) has been the producer behind the event for 14 years. Their work includes everything from organizing the event set up (alongside the Sheraton Wall Centre, the host venue), to getting key influencers within the community to participate. People say that the details really make an event. Once the big things are booked, the details have to be taken care of. This could be everything from double-checking that the sponsors have everything they need, to making sure the flower arrangements are exactly how the client envisioned them. Having the details thought out before the event ensures you deliver exactly what the client wanted and frees you from worrying about any unexpected hiccups. Before I called a restaurant to ask them to participate, I found out a little bit about the restaurant. The simple things such as who their Chef and General Manager is and how long they have been open. Just having a quick browse around their website before calling helps to get a feel for the restaurant and how best to approach them. You may have a vision as to what the event should look like, but without having a plan, it makes the vision hard to accomplish. Being able to put together a plan of what the event will look like will make it easier to connect with different vendors and have contract and contact available to you. Having this information will make the weeks running up to the event is less chaotic, and if there are any issues, the information is right there to access. Starting with just an Excel spreadsheet listing the restaurants who were nominated, I had to craft a system to keep participating restaurants and their information organized. If I received an email or a phone call from a nominated restaurant, I would have to input it right away otherwise I knew it would just get lost or forgotten about. Having this information printed out made the registration of the showcase go more smoothly. Things will never go exactly as you planned. If something comes up, being flexible will help you think on your feet and solve problems in a creative way. With 36 different chefs (and restaurants) with over 46 dishes there will always be some issues. Despite requesting otherwise, of the dishes arrived on site the same time which made matching up the dish with its label challenging. Having critical information printed out before hand allowed me to match the dishes to the information. If something didn’t match up properly, I got creative and figured out ways to match the dish to the restaurant. A big thank-you to all of the participants in the 2016 Chefs’ Showcase at the Vancouver Magazine Restaurant Awards. You can check out all of the winners here. From having seen their work up close, I highly recommend you pay them a visit. Now in its 27th year, the Vancouver magazine’s Restaurant Awards event is the biggest of its kind in North America. Nineteen of the city’s top food critics form the judging panel and vote on the best dining experience in more than 40 categories. The event includes a reception and awards show. The annual extravaganza welcomes more than 900 restaurateurs, chefs, sommeliers, suppliers, and food and wine critics. One of the things we especially love at Elettra is getting out and about this fine city of ours and attending different events, particularly our clients’ events. This week was a pretty busy one starting off on Monday evening with Vancouver Magazine’s 15th Annual Power 50 event taking place at the Vancouver Club. This is always one of our favourite events of the year, as it’s an opportunity to see and chat with some of the city’s leading lights. 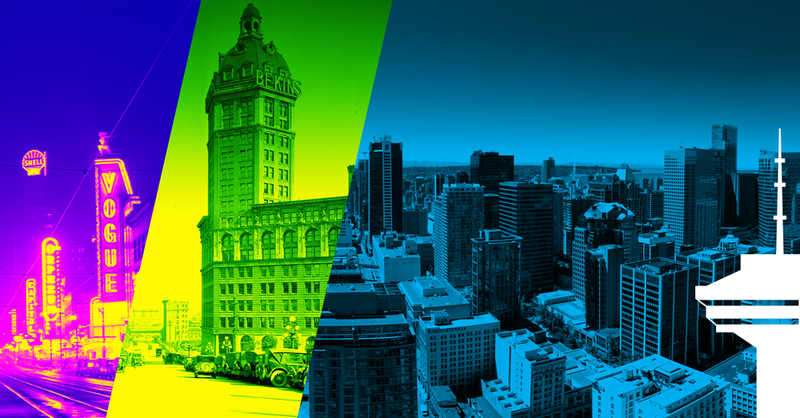 This year, Van Mag's Power 50 issue asked “Whose city is this?”, with a focus on inclusivity. The list included such luminaries as Global TV's News Director, Jill Krop; our friend, Justice Minister Jody Wilson-Raybould; and a 12-year old girl named Tru Wilson who is changing our city’s attitudes and policies on transgender rights. On Wednesday we had the pleasure of listening to celebrated author and playwright Drew Hayden Taylor humorously discussing the nuances of Native humour in his work. Drew was speaking at the opening evening of Decoda Literacy Solution’s Making Sense of the Modern World conference at the Radisson Hotel in Richmond. He was a big hit with the audience and signed copies of his latest book Me Artsy afterwards. Thursday evening saw Eastside Culture Crawl activities getting underway and we were excited to check out the opening reception for The Kettle Society’s Art Against Stigma at Kettle on Hastings. This impressive gallery style art show and sale, which runs all weekend, features more than a thousand pieces of art created by local artists living with a mental health disability. The aim of the exhibition is to address the misunderstandings and stigma surrounding mental illness. The variety of artwork available for sale is extensive and we were coveting more than a few pieces! May need to pop back again this weekend…. Part of the excitement of working in PR is all the different types of events we plan. 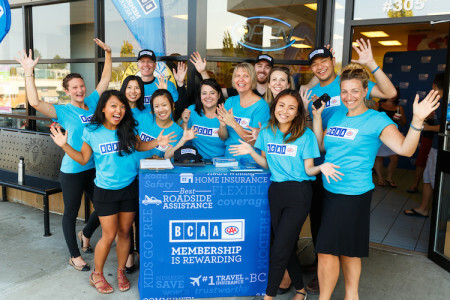 For example, last Thursday we helped BCAA show their valued Members how rewarding membership can be – by giving away free ice cream! 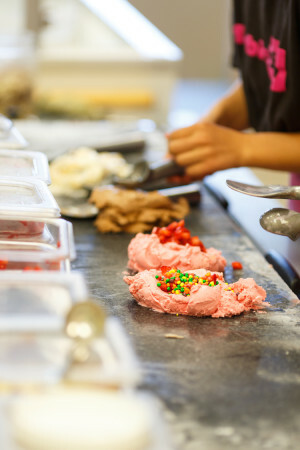 We set up a team at the Marble Slab in Langley to surprise and delight BCAA Members with fresh, made-in-house ice cream. All members had to do was show their BCAA card and enjoy. Customers also had the opportunity to take photos with props at our photo wall and listen to QMFM live on location. If you are a BCAA Member, check out where you can save at over 100,000 partner locations worldwide including hotels, shoes, travel insurance, and more. See at bcaa.com/savings for more details. 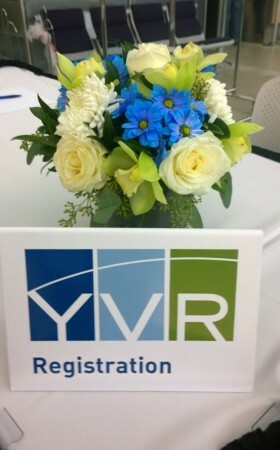 Opening day is here for this summer’s YVR Take-Off Fridays. Every Friday from today until August 28, the terminal will come alive with music, entertainment and family-friendly activities. We stopped by to check things out, and we weren’t disappointed. Today’s event had a DJ, live musicians, caricaturists, balloon artists, mascots, face painting and more. You can enjoy these activities between 9 a.m. – 3 p.m.
Each Friday there will be delicious food samples and great deals from airport shops and restaurants. 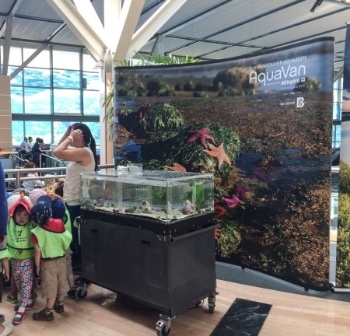 On select days there will be on-site activities with The Vancouver Aquarium, Science World, and the Vancouver Canadians. For the aviation buffs, in the Public Observation Area there are interactive displays, quizzes, and behind the scenes videos. Tours are also available to learn about YVR’s history, art, and operations. We’ll be back soon and hope to see you there too! WHEN: Every Friday from July 3 to August 28, 9 a.m. – 3 p.m. Earlier this week, Pacific Centre officially open its new retail expansion. New shops include Ted Baker, Kate Spade, TUMI, Weekend MaxMara, Hugo BOSS, and Vancouver's first AllSaints. More retailers will be opening later this summer and into the fall. To celebrate the opening, Pacific Centre charged Elettra Communications with planning and executing an outdoor fashion event on Granville Street. Thirty stunning models walked our open-air catwalk and 300 ft red carpet, showing gorgeous looks from Pacific Centre's newest shops. Here are some pics of Elettra's event set up and the fashion show. Enjoy! One of the most common pieces of advice I received at the start of my career in public relations was to read - A LOT. Pick up everything and anything and pay attention to tone and voice. Then, continually practice your own writing. 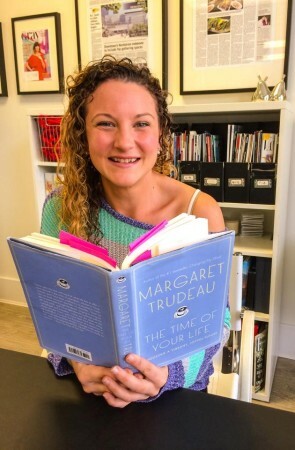 With this advice in mind, I picked up Margaret Trudeau’s new book - The Time of Your Life: Choosing a vibrant, joyful future. She will be in Vancouver May 21st to speak at The Kettle Society’sMaking a Difference Luncheon and I thought I would try to better understand her in advance of the event. 2) “Leave aging gracefully to out grandmothers, it’s time to age proactively.” What we do in our young lives affects how we feel as we age. Exercise and nutrition can be used as a preventative practice for disease and injury. Eating right and exercising regularly when you are young is an investment in your body and will help you dramatically as you age. 3) “The term mental health has become synonymous not with health, but with illness.” There is a great deal of sigma that surrounds the issue of brain health. People fear being labeled as mentally ill and this fear often hinders them from seeking help. The fear and stigma can create a bigger barrier to a satisfying life than the illness itself, in many cases. Trudeau will cover this and more mind opening matters during her keynote speech at Kettle’s Making a Difference Luncheon. After reading Trudeau’s book, I am excited to listen to her speech on May 21st. Want a little inspiration in your life? Join us at the Four Seasons Hotel in Vancouver for insight into Trudeau’s struggle with overcoming a mental illness. Then after the event, have a copy of her latest book signed to take home and enjoy. Well, the results are in and we are closing the books on another year of organizing Vancouver magazine’s Restaurant Awards. By now people have likely heard that Ask for Luigi was the event’s big winner with four awards, Hawskworth won Best Upscale, Vikram Vij won Chef of the Year, and Tojo’s and Zest tied (yes tied!) for best Upscale Japanese. This year marked the 13th year that I have organized the event. Vancouver magazine is my longest running client and, my two lovely children aside, this event is my proverbial baby. Every year people tell me it was the ‘best ever’ and I wonder how we are going to make it better still. I have to say that our team does an awesome job of organizing this event and we are focused on nailing every last detail. But what made Tuesday’s event so memorable were the emotional moments on stage that demonstrate the passion that those in the restaurant industry have for what they do. We saw Premier Crew award winner Rose Nguyen give an impactful speech saying that it was the “great moment of her life”. We heard the son of the Amay’s House’s owners praising his parents for coming to Canada with $20 and building a successful business. We saw Vikram Vij get overwhelmed as he thanked his grandfather for getting him started in his career. And we were even treated to a spontaneous singing of Happy Birthday by our entire crowd to Bartender of the Year winner, Lauren Mote. These are the moments that we can't control, but that we aim for as we plan the event. We pore over the results as soon as they come in from the accountant, agonizing about which awards we are going to present on stage. We ask ourselves which categories saw exciting movement from the previous year. Who will likely be most surprised? Who hasn’t had a chance to shine on stage in recent years? It’s hard to say exactly what makes one event more successful than another, but moving beyond the tactical details and trying to connect with guests on an emotional level is key. I would like to thank everyone whose talents contributed to an amazing event. The entire team at Van mag. Mark Philps for his stellar videos (here, here, and here). CBC’s Gloria Macarenko and Stephen Quinn who nailed the tone of the event perfectly. Our amazing host venue, the Sheraton Vancouver Wall Centre. And the guys at PSAV who pulled an all-nighter to set up the event. And last, but not least, the fabulous women that I work with at Elettra. You rock. Now in its 26th year, the Vancouver magazine’s Restaurant Awards event is the biggest of its kind in North America. Twenty of the city’s top food critics form the judging panel and vote on the best dining experience in more than 40 categories. The event includes a reception and awards show. The annual extravaganza welcomes more than 900 restaurateurs, chefs, sommeliers, suppliers, and food and wine critics. Exposure to the behind-the-scenes workings of a large event. Opportunity to build contacts in the PR, marketing, and publishing industries. Spring Advertising hosted their annual Boink Day today to raise funds for the Greater Vancouver Food Bank, and people were eager to jump into action. 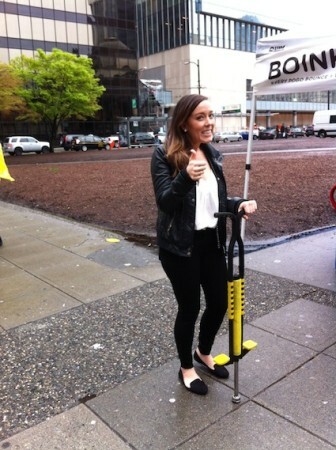 The Spring Advertising team was there showing off their pogo stick skills and encouraging people to join them in boinking for a good cause. Despite the typical Rain-couver weather, passersby were happy to join in or donate to help the Food Bank.The team provided music, tips, and of course, pogo sticks to anyone interested in hopping on. For every boink, Spring donates $0.10 to the Greater Vancouver Food Bank and for those skilled enough to boink long enough, Spring offered treats from Happy Planet and Fatburger. Included in the great turnout from today were visitors from Vancity Buzz and Breakfast Television. Check out what Vancity Buzz had to say about the event or watch our friends from Breakfast Television give boinking a try! If you missed out on the boinking festivities today, it isn’t too late to help out. Visit the Boink Day website to donate. This Friday, March 20, Spring Advertising will be celebrating the first day of spring with their annual Boink Day, a public pogo stick challenge to raise funds for the Greater Vancouver Food Bank Society. They will be set up outside the Vancouver Art Gallery along Georgia Street, rain or shine, with their pogo sticks at the ready. Come down and challenge the team or boink on your own. For each pogo stick “boink”, Spring Advertising will donate $0.10 to the Greater Vancouver Food Bank. Every $1 that gets donated allows the Food Bank to buy $3 worth of nutritious fresh fruit, vegetables, canned goods, and eggs. Feel free to bring your own pogo stick or use one on-site to celebrate the beginning of spring while helping a good cause. If boinking isn’t for you, you can bring a cash or non-perishable food donation down to the Art Gallery to show your support. How much: Free of charge. All donations will come from Spring Advertising and are based on boinks. One of the most compelling parts about living in Vancouver is the amount of creative ways to get fit, and have fun doing it. Now, every Tuesday in March Harbour Centre is providing another great opportunity to shake up workout routines – the Urban Grind. Climb the stairs to the iconic Harbour Centre Lookout to kick-start a workout routine, get ready for the upcoming hiking season, or simply have fun with friends and colleagues. Day one was a success, with 139 participants huffing and puffing their way to the top. As a payoff for their efforts, participants were greeted at the top by a stunning 360 degree aerial view of Vancouver, a refreshing beer, and DJ entertainment. Climbers can customize their workout by completing the route as many times as they like during the workout time. We are told from a young age to “dot the i’s and cross the t’s”. The practical application for this expression has never been so clear in my mind until working on my first major event as an Account Coordinator. On Tuesday, January 13, Vancouver International Airport (YVR) held the grand opening for the new A-B Pier Connector. This event unveiled a new space in the Domestic Terminal, including “new gates, an expedited baggage system, seismic upgrades and a bunch of new places for travellers to eat and shop.” The event also the featured the unveiling of a stunning work of art by First Nations artist Marianne Nicolson. 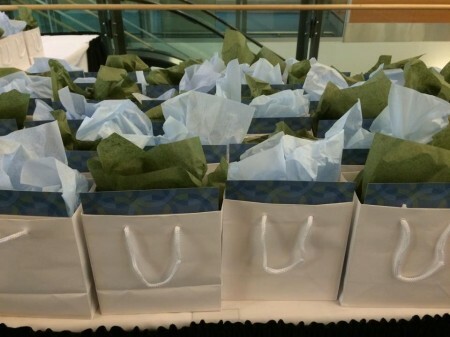 1) Once the event date is set, create an event plan, including detailed budget, timeline, and event details. The more bases you cover leading up to the event, the more prepared you are to ensure the event is a success on the day. 2) If there are technical requirements, do a run through. You don’t want to be on the other side of the building only to realize your walkie-talkies don’t work during a big unveil. For the YVR event, I watched the project leads test each tech detail before the big day. 3) It matters how the room is arranged. When planning your layout, think about where you want most of the crowd to be and place something important there, such as food. Also think of where people should be looking; if there is a speaker, don’t use round tables so people have to uncomfortably crane their necks. 4) Treat a speech as a highlights reel. Ensure speakers know their allocated time frame and give the key points only. 5) A smile goes a long way. At the end of the day, everyone would rather work with positive people. Treat every challenge as an opportunity to do your best for the client, treat every guest like they are important, and receive feedback and compliments graciously. One of the most exciting parts of event planning is that you can see your hard work unfold in front of your eyes. You can watch the crowd react, and witness the client’s expressions. It is rewarding work and I look forward to being a part of more events.